Think Happy , Be Happy! Hello friends, Welcome once again here with a watercolor tag and some Dahlias for you all. Flowers have been the most inspiring element in all of my projects and I continue to enjoy making them with Susan’s Garden dies. Let’s have a look at how to create this tag. Die cut watercolor paper using the Tags & More die in whatever length you choose. Softly tint the bottom section of the tag with Crushed Olive Distress Ink. Also ink the edges of the tag. Mist lightly with water and add more color with watercolor sprays. DIe cut pieces for Garden Notes Dahlias 2 from White Soft Finish Cardstock. Shade and color with Squeezed Lemonade Distress Ink and Sunflower Archival Ink. 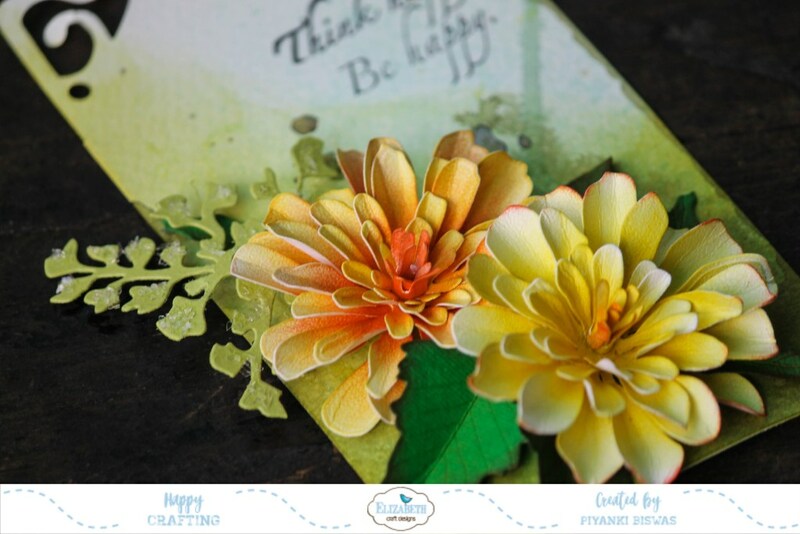 Die cut Dahlia leaves from green cardstock and fern from white. Add color to the fern and to the edges of the leaves with Crushed Olive Distress Ink. Stamp sentiment toward the top right of the tag. Shape leaves and petals. Assemble the bouquet and adhere to the tag as shown in the photos. Add a ribbon at the top of the tag. Thats all from my side today, let me know how you like it. Will be back soon with some more creativity. For today's card here's how I have created with some foam carnations and fold out technique. Start by taking a Kraft flip fold card layout. Measure patterned paper at 1/8" less than the card and distress the edges. There are 2 layers in each of the fold which measure 1/8" less. 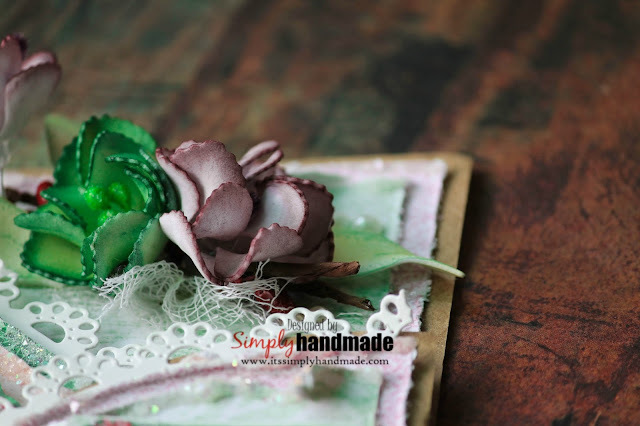 Stamp some small and large carnation using Plum and leaf archival ink from white foam paper. Shade and color the petal using Crushed Olive and Wilted Violet distress ink. The edges are re-inked once the petals and leaves are shaped. 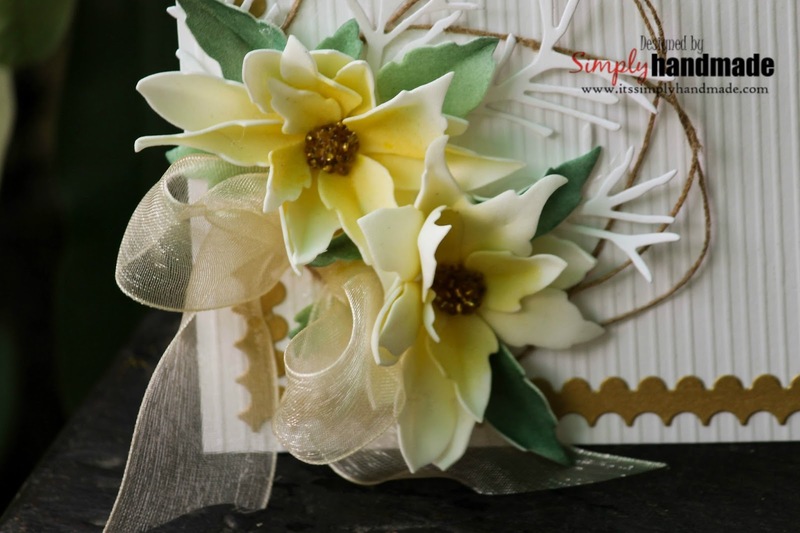 Die cut a decorative border from white card stock and tuck it in every layer between the card base and the pattern paper. To shape the foam flowers, I used a press which allows the petals to bend automatically and then we can shape it. Layer the petals, pierce the centers and add the stamens. To arrange the bouquet, use some twigs, pearls and leaves and assemble all the shaped flowers and leaves. Adhere as shown. To finish the card fussy cut tags and sentiments from the paper collection and distress the edges with frosted powder. 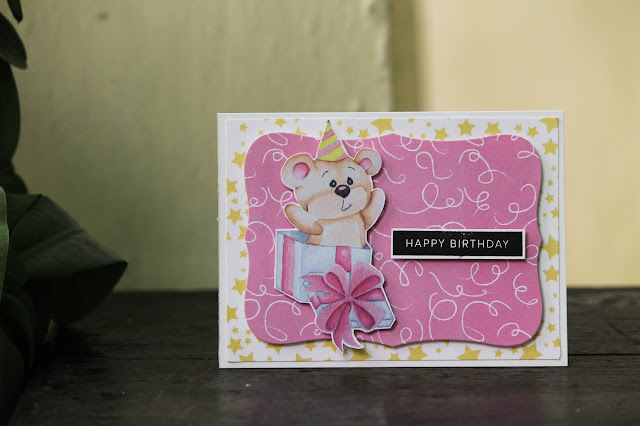 Hello Friends, I am having some fun cards with newly launched dies and stencils at Mudra Blog today. I have some glimpse here for you all. For the full reveal and how I have made t his card visit here. Until then , have fun and see you soon as the next blog. Hello friends, heartfelt Creations invites you all to celebrate the beauty and gentle humbleness of the carnation with the Camelia Carnation Collection. With a color palette of fiery reds, pastel pinks, sunset orange tones and lush hues if greens, the amazing paper collections brings with a bold but feminine feel. I loved this collection thoroughly and so would you for sure. I have a interactive card for you with some pockets to hold your tags and letters. The fold is interesting and fun. The final card measures 5.8” x 5.8” and the base is Kraft. Take a Kraft color CS and score it at 5.8” square card. 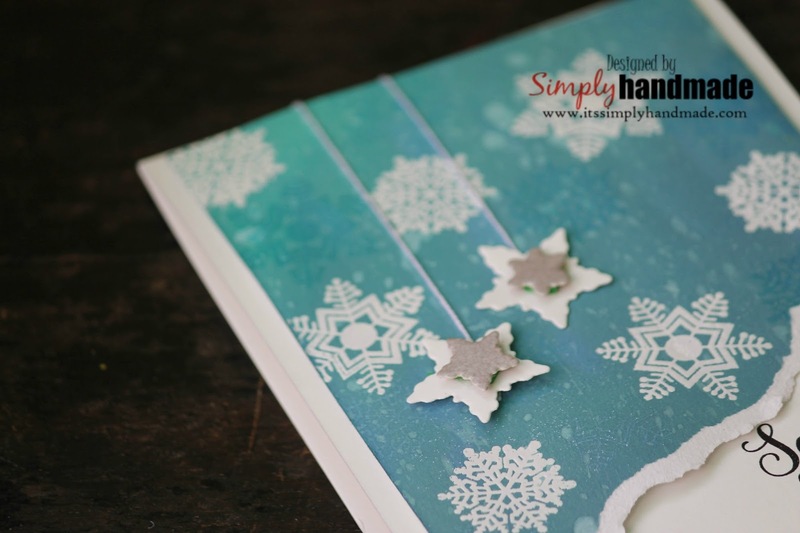 Take a pocket insert from the Flipfold insert A and a decorative shape and adhere it to the front panel of the card. This forms the opening of the card with a pocket in the front. Cut pattern paper from the collection at 1/8” less for all the base CS and adhere it. 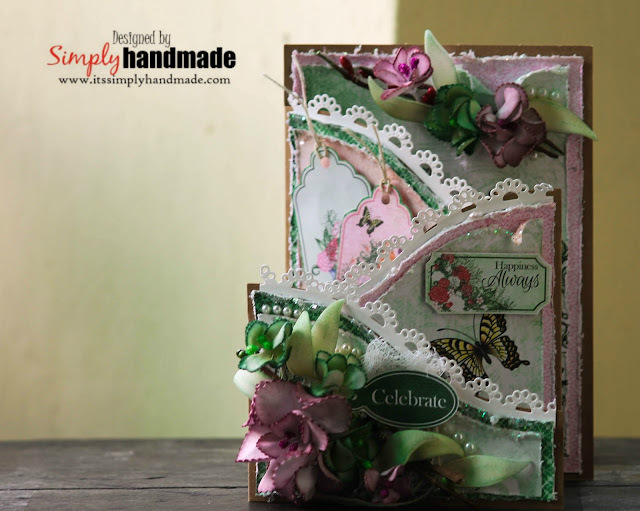 For the edges of the pocket and front panel, die cut pieces from the Sweet Border set and fleur die set it adhere to the pocket and the front edge. For the pocket, fill in some tags fussy cut from the paper collection. This will complete the card base with decorative border. Stamp and die cut several pieces of the Carnations from white card stock using plum Archival Ink. Later using a sponge and picked raspberry distress ink color the petals. 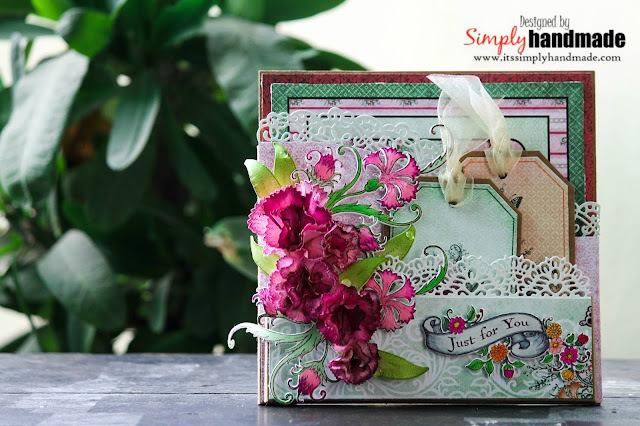 For the leaves stamp and die cut using the stamp set and coordinating die, crushed olive inks. 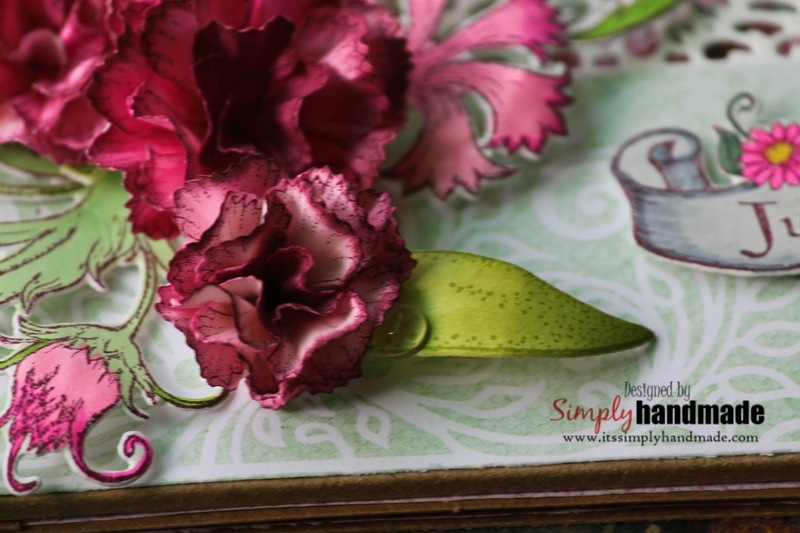 For the Fanciful carnation stamp using plum archival ink on a Neenah white CS and then color using zig markers. Once all colored and shaped assemble the flowers, leaves tucked in with the fanciful carnation. Until then happy crafting and I will be back soon! 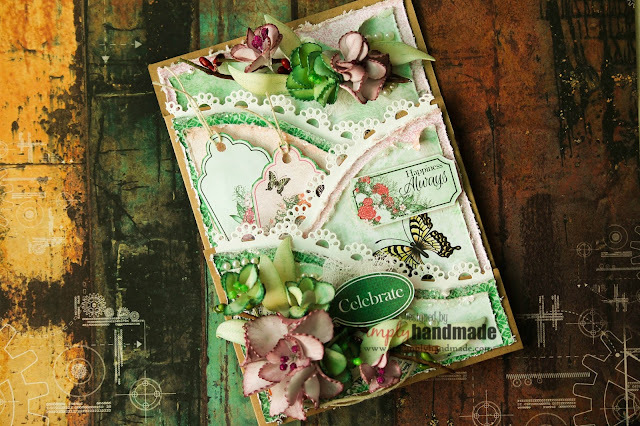 Hello Friends, welcome back to another challenge for Susan's Garden at Elizabeth Craft Designs. Yes and its Christmas so we are going with the traditional color of Christmas. For my card today I have used white gold and some poinsettia. kept it simple with some frills. The poinsettias are foam flowers and shaped by heating the petals. 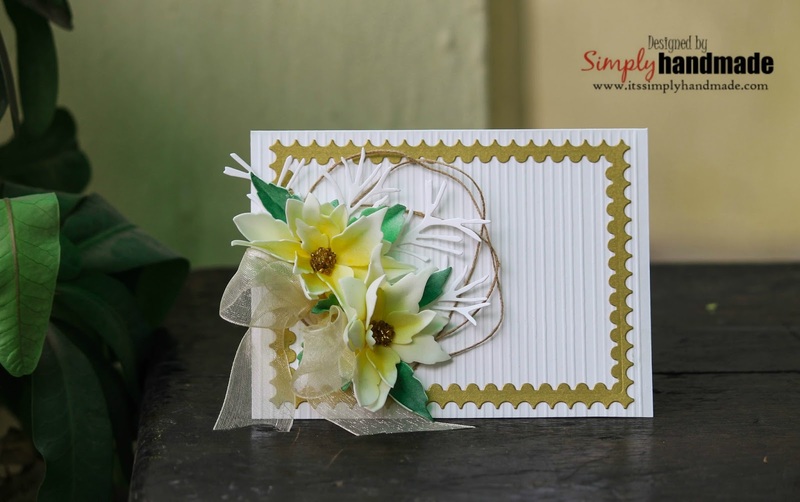 Its a tone on tone on white with splashes of gold and green. The Gold border holds the frame on a scored background. Do share how you like it and I will be back with some more inspirations and new projects. Hello friends, welcome here today sharing some cards created with the newly launched paper collection from Mudra. The paper pad is cute , fun and has a element sheet which will allow you make some quick cards in less than 10 minutes. My blog is acting funny for some days now hence unable to publish the blogs. The first card is a birthday card featuring one of the cute element from the element sheet.To make this again its quite a easy one. 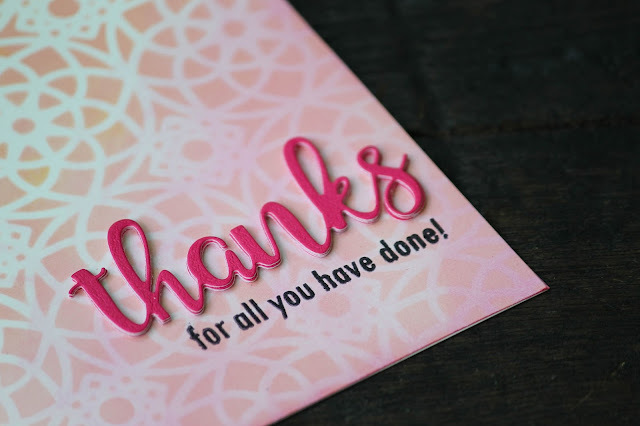 - Cut and score a white card stock to measure at 5.5" x 4.25 to form the card base. - Cut a pattern paper at 1/8' less than the card base. - Die cut a another co coordinating pattern paper from the collection at 2"less than the first layer. - Fussy cut any of your favourite image from the element sheet( For this one I chose the birthday bear). - End the card by stamping a Happy Birthday sentiment. - Cut and score a white card stock to measure at 5.5" x 4.25 to form the card base. This will be a vertical alignment than the previous one. - Die cut a another co coordinating pattern paper from the collection at 2"less than the first layer to form the frame. 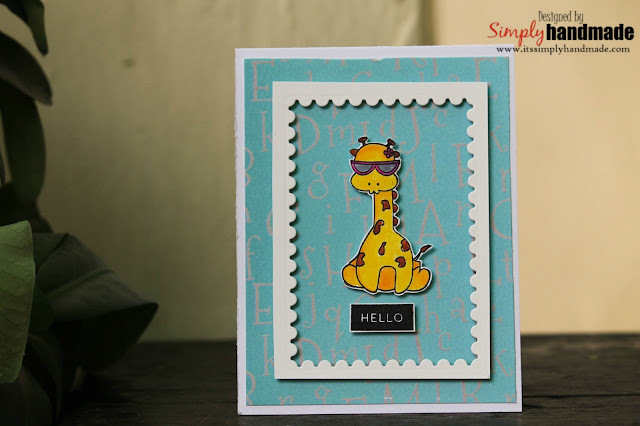 - Stamp the cute giraffe using black archival and then color it using Zig brushes. - Fussy cut the image and adhere it at the center backing with foam dot. 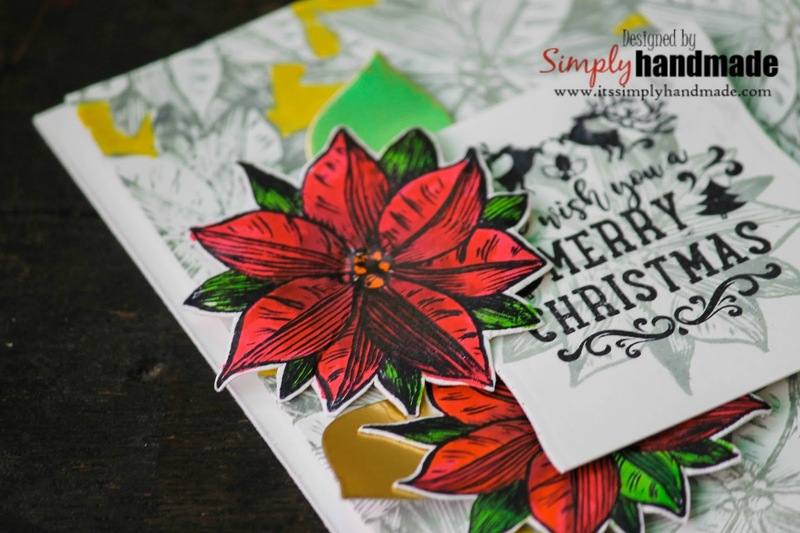 - End the card by stamping a Hello sentiment. - Cut a another pattern paper at 2.5"x 5.4" and adhere it on the first layer. - Adhere the image on the panel with a foam adhesive dot. 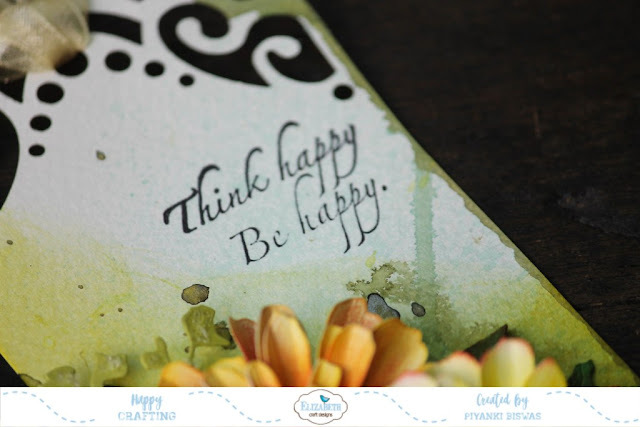 - End the card by stamping a sentiment. Do share how you like it and I will be back soon with some more inspirations and project.